LGO Hexagon Fused Bundles© | Light Guide Optics | レーザー機器　専門商社｜株式会社アルクゥズ　ALQUZE Inc. Completely new possibilities for your applications in high-power or high-temperature range. The LGO Hexagon Fused Bundles© represent a high tech solution for your UV and IR applications and for replacing liquid light guides. 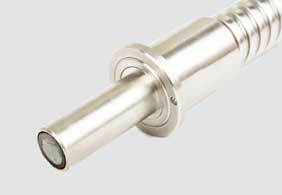 They offer to you completely new possibilities in your high power and high temperature regime. By using our patented technology we are capable of eliminating the dark spots between the optical fibers in our bundles. In this way we increase the packing density of the fiber cores. This leads to a significantly better transmission. By refraining from the use of glue the applications in particular in the UV area are multiplied. The LGO Hexagon Fused Bundle© can be used in temperatures far beyond 600°C. Advance in technology for your high tech applicaiton. By applying our patented technology we are capable of closing the gaps between the fibers in a bundle. 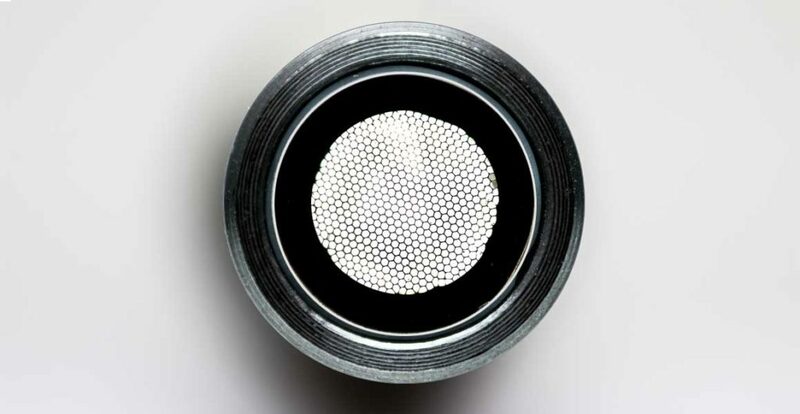 Furthermore, we consider LGO Hexagon Fused Bundles© the high tech solution for your UV and IR spectroscopy applications as well as replacement for liquid light guides.